Realizing the cost-saving benefits and making the decision to switch to commercial solar energy is the first and easiest step in the process. Figuring out the next steps can be complicated. Which provider can give your business the best financial return from a solar electricity system without you having to spend months figuring it all out? 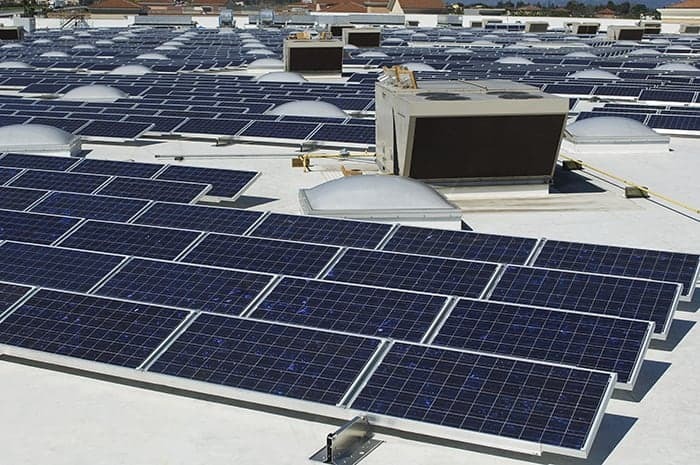 Businesses have to find a provider who can accurately do the energy analysis for their facility; they will need someone to design the rooftop or parking lot solar system; they will need to understand their best options for financing the solar system. There are also budget considerations to go over, then fielding the bids, choosing the best solutions, and then scheduling the entire project to be put together. It’s complicated because businesses are saddled with retrieving and processing so much information from several sources before they can make a solar buying decision. This has been the difficult landscape that businesses have had to traverse in the past; causing many businesses to continually put off buying solar even when they know it would save them money. Now one company radically simplifies the commercial solar buying process for you. OnSwitch is the one-stop commercial solar marketplace that takes care of all of the steps. In one minute, facility and energy managers almost anywhere in California can get a detailed web quote for rooftop solar customized to their building. Businesses can quickly see if rooftop solar works technically and financially for them, and then request a final detailed design, pricing, and financing if desired. And now, OnSwitch has started the roll-out of their latest software technology enabling a prospective commercial solar buyer to simply type their building address into the OnSwitch website, and click to a customized, contractible web quote for solar on their building. OnSwitch’s instant, accurate quotes are available for pre-qualified buildings in the Bay Area today, all of California in several months, and then nationwide. Request a quote at www.onswitchenergy.com to see if your building has been pre-qualified yet for an OnSwitch instant accurate rooftop solar quote.